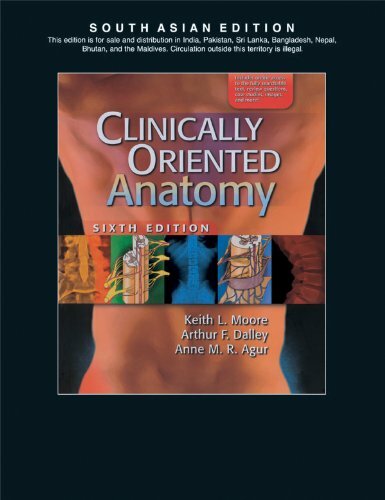 Clinically Oriented Anatomy, Sixth Edition provides first-year medical and allied health students with the clinically oriented anatomical information that they need in study and practice. This best-selling textbook is renowned for its comprehensive coverage of anatomy, presented as it relates to the practice of medicine, dentistry, and physical therapy. The Sixth Edition features a modified interior design with new and improved artwork that further enhances the user-friendliness of the text. The clinical Blue Boxes are now grouped to reduce interruption of text and are categorized with icons to promote easier comprehension of clinical information. The Bottom Line summaries have been refined to clearly call out key points for quick study. A companion Website offers the fully searchable text, interactive USMLE-style questions, and video animations. Online faculty resources include an Image Bank, Test Generator, and Course Outlines.